Last year I told you about babies in Finland sleeping in boxes. It's a program Finland's government started in 1938 that provides all expectant moms with a maternity box filled with clothes, bedding, and baby products and accessories, along with a mattress to go in the bottom of the box to create a safe first bed for baby to sleep in. Now that concept is gaining popularity here in the U.S. 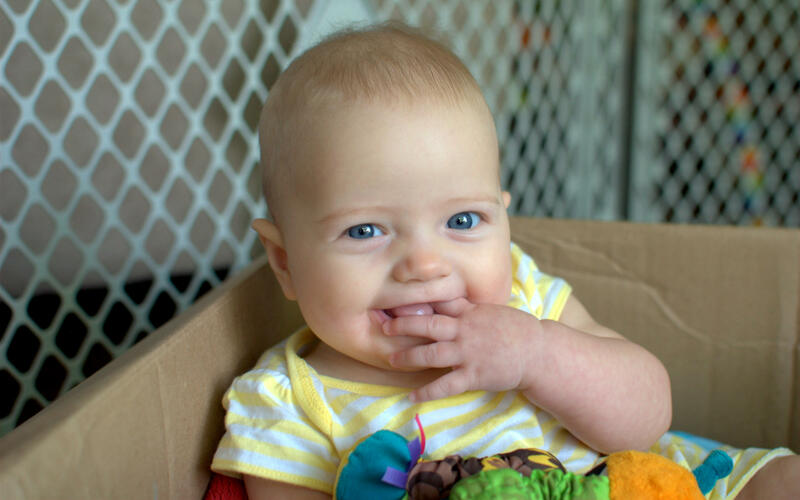 This week, Alabama will begin partnering with the California-based Baby Box Company to join Ohio and New Jersey in making baby boxes available to the families of all newborns, according to NPR. 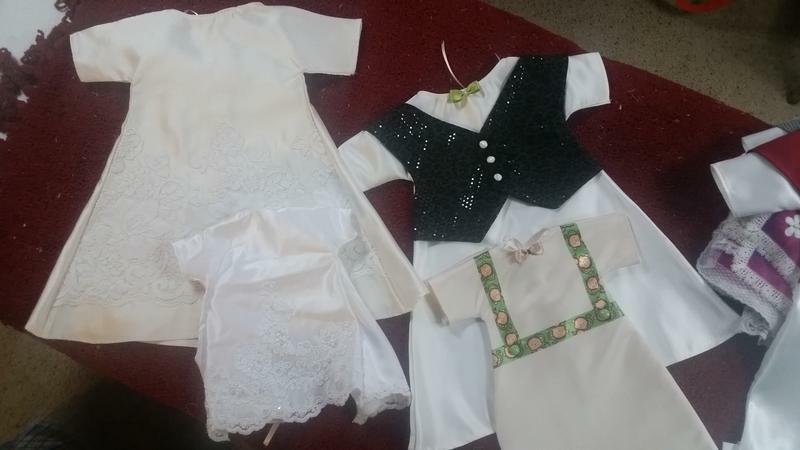 Although the contents of the boxes in the U.S. are similar to Finland – onesies, breastfeeding accessories, a mattress and tight-fitting sheet – the goal of the programs are slightly different. While moms in Finland have to get early prenatal care to be eligible for the boxes, the goal of the programs in the U.S. is to continue spreading the message about infant safe sleep. To be eligible for the boxes, parents in the U.S. have to watch videos online about SIDS and safe sleep and complete a short quiz. Then, they can pick the box up from a distribution center or have it mailed to their home. The whole premise is that people like free things. It's about getting the information out there. Through education and awareness, people can make better choices and hopefully we can see fewer children dying. Finnish experts credit baby boxes with significantly lowering the country's infant mortality rate. When the baby box was introduced, nearly 10% of all Finnish children died before reaching their first birthday. Today, the infant mortality rate has fallen to – one of the lowest in the world. We’ve looked at these boxes for the last year. They’re good in the sense that it sends the right message that the baby should sleep without accouterments: no blankets, stuffed animals or baby bumpers. We need more research that looks at their effectiveness, especially in urban cities. We support anything that will help save a baby’s life, but there haven’t been safety studies that we need. Dr. Kristi Watterberg, chair of the Academy of Pediatrics' committee on the fetus and newborn, told NPR she applauds the effort but is concerned about the videos taking place of prenatal care and the process being too complicated for those who need the education most. The people who can really benefit from this are those who don't have any clue what you need when you take a baby home. They don't have the social structure to support them. These are the moms who most need what's in that box and the box itself. 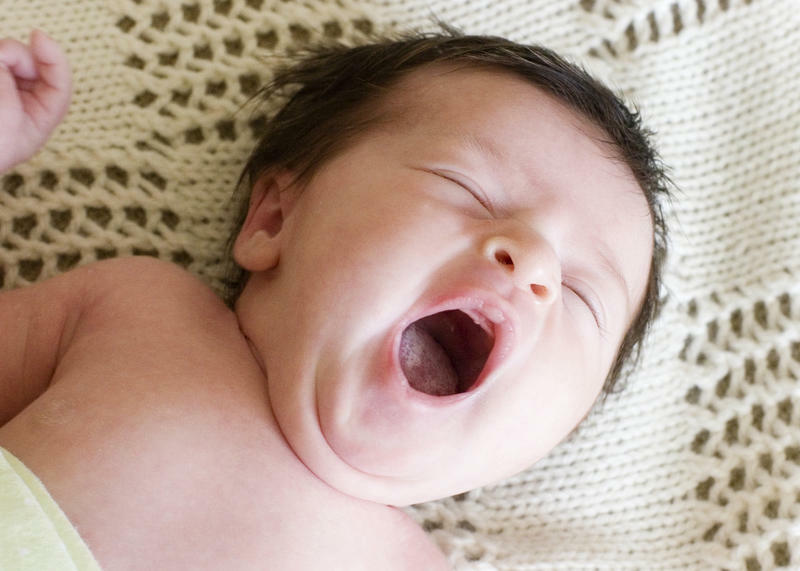 So, what are some other ways to reduce the risk of sudden infant deaths? The American Academy of Pediatrics recently released updated sleep guidelines that recommend sharing a room – but not a bed – with baby for at least the first six months, but optimally for a year. The AAP found sharing a room could reduce the risk of Sudden Infant Death Syndrome (SIDS) and other sleep-related infant deaths by as much as 50%. And my colleague Dustin Dwyer told you previously about the importance of following the ABCs of safe sleep: All babies should sleep alone, on their back and in an empty crib. 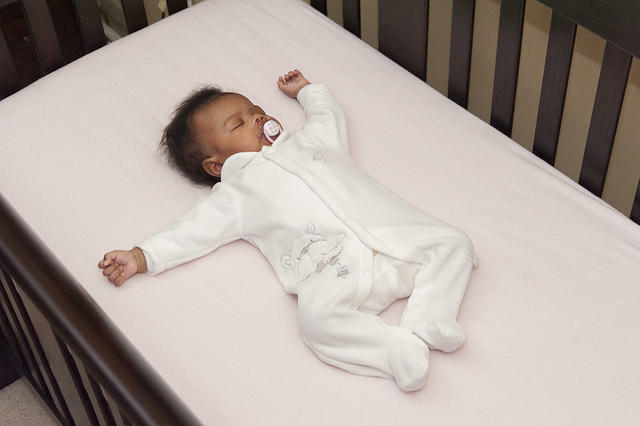 About 3,500 infants die in the U.S. every year from sleep-related deaths, including SIDS, according to the AAP. Anything that can help reduce this number seems worth trying. 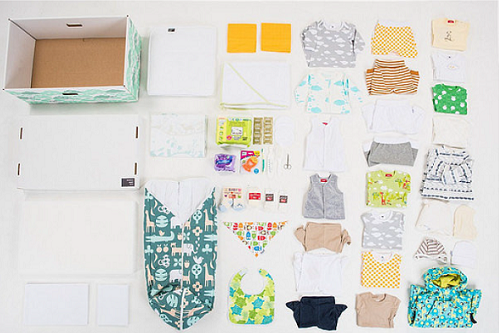 Check out a short video below of how Finnish baby boxes are packed. Traveling with a baby over the holidays? Plan ahead for safe sleep. The holidays are here, and many of you will be heading out of town this weekend to visit family or loved ones. If you're traveling with a baby, we want to remind you to plan ahead so that your child has a safe space to sleep. As you're packing up the presents and holiday cookies, make sure you're also bringing a portable crib like a pack and play or a bassinet. Parents should share a room with their babies for at least the first six months of their lives, according to updated guidelines from the American Academy of Pediatrics.